In many cases Word is still the preferred file format for collaboration in the office. Yet, it is often a challenge to work with it, not so much because of the software, but how it is used and abused. Thanks to Markdown it is no longer painful to include mathematical notations and R output into Word. I have been using R Markdown for a while now and have grown very fond of it. 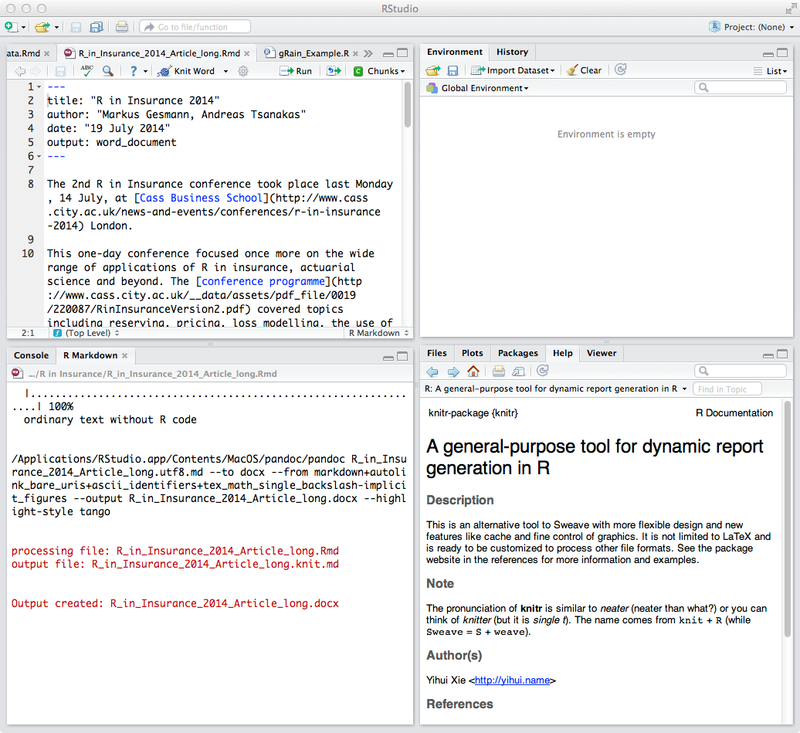 Although I am quite happy with PDF and HTML output for basic reports and to switch to Sweave/LaTeX for more complex documents, I was pleasantly surprised to learn that the new version of RStudio can produce MS Word files directly from R Markdown as well; thanks to the power of pandoc. Perhaps Word is an option after all? ← Hit and run. Think Bayes!